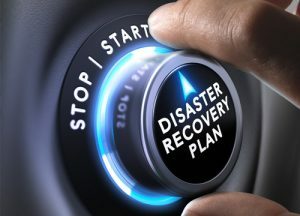 Ensuring you’re able to quickly restore operations in the event of disaster. NetOne Technologies provides business continuity planning wherein we secure your technology against any threat the future may hold. Call (561) 432-7823 or email us at sales@netonetech.com for more information. Keeps full system snapshots (backups) onsite and in the cloud for quick recovery when needed. Tests and monitors backups on a regular basis to avoid potential failure when trying to recover. Ability to virtualize important systems on or offsite so you’re able to access the resources you need with little to no downtime. Includes a comprehensive plan for recovery so you’re able to feel confident knowing your staff members know exactly what to do. NetOne Technologies is here to help you quickly restore and maintain profitability in the event of disaster. We’ll focus on the technology so you can focus on what’s important: getting work done. Call us at (561) 432-7823 or email us at sales@netonetech.com today.